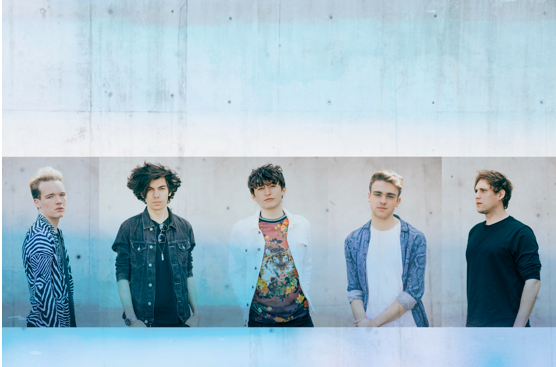 Breaking Brighton quintet – THE RPMs – are delighted to announce a run of UK dates this Summer. With appearances in Cardiff, Bristol, Brighton and London, The RPMs’ upcoming series of shows are being hosted by indie club night extraordinaire THIS FEELING, and will see the band joined each night by a top billing of new talent (including NEW YORK TOURISTS, BANDICOOT, VIOLET WALK, CHAY SNOWDON, THIS PARTY, LAST SEEN ALIVE, THE VELVET HANDS, TOFFEES, SHORT STORIES and more). Specific dates and line up details for each show are listed below. In addition THE RPMs have also announced two performances at this year’s Isle of Wight Festival on the This Feeling/Pirate Studios & Pretty Green Stage and The Hard Rock Stage respectively, plus a slew of festival appearances throughout Summer 2018 outlined below. The news follows the release of the band’s stunning new video for ‘Let Things Happen’, as premiered by the Gig Slutz mag who hailed the track as “by far the band’s best yet… This is classic feel-good indie-pop built for festivals and good times”. ‘Let Things Happen’ is available now via Xtra Mile Recordings on all digital formats. New single ‘Let Things Happen’ raises the bar significantly for this young Brighton band. Following the success of their previous single, ‘Your Ghost’, ‘Let Things Happen’ is cast firmly in the mould of classic indie pop, fusing contemporary songwriting sensibilities with the fluttering sounds of lush keyboards interwoven with melodic, ringing guitars. Speaking of the new single, singer Jack Valero said, “It’s written about how sometimes in life you just have to sit back and go with the flow and is very much based on where we are as a band right now. You face many difficult obstacles in life especially when you’re in a band and it’s all about how you overcome them and carry on, just like it says in the chorus ‘Pick up and start again’. It’s a positive message to not allow yourself to be defeated and also to remember sometimes to let go and live in the moment instead of trying to control it. Aided by in demand producer Gethin Pearson (Mallory Knox/Charli XCX) ‘Let Things Happens’ flows effortlessly into their steadily evolving plot together with other significant milestones: Their London debut for Abbie McCarthy – Good Karma Club, their SXSW debut; being chosen by Huw Stephens as one of his Alternative Tips for 2018; their first Radio X-Posure session and inclusion on R1’s Best Of BBC Introducing Playlist. The RPMs are set to tour extensively throughout Spring and Summer in support of ‘Let Things Happen’ and their upcoming third single for 2018, ‘Gotta Let Go’ slated for release in September via Xtra Mile Recordings. SCOTT BRADLEE’S POSTMODERN JUKEBOX UK LIVE RETURN FOR 2018.